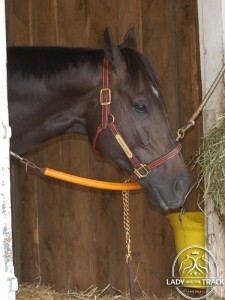 Home » News » Monmouth Cup Stakes 2013; Take Charge Indy’s Last Race? 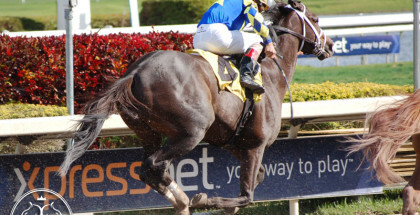 Monmouth Cup Stakes 2013; Take Charge Indy’s Last Race? 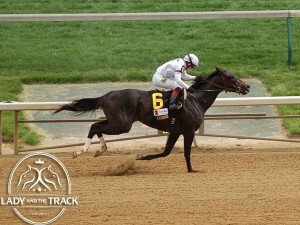 Take Charge Indy won the 2012 Alysheba Stakes beating out Hymn Book at Churchill Downs. 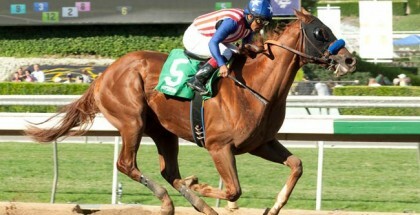 The two will face off again in the Monmouth Cup Stakes on Sunday July 28, 2013. Monmouth Cup Stakes 2013; Take Charge Indy’s Last Race? 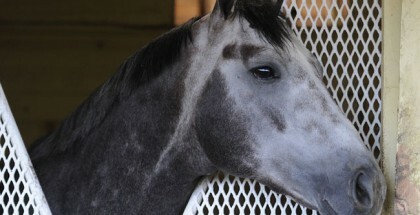 The Monmouth Cup Stakes takes place Sunday July 28, 2013 at Monmouth Park in Oceanport, New Jersey. The $200,000 1 1/16 mile race for three-year-olds and up is a prelude to the Haskell Invitational. A few dynamic horses set the field of seven in the Monmouth Cup Stakes including fan-favorite Take Charge Indy, who may be inching towards his very last race. Winner of the 2013 Alysheba Stakes and the 2012 Florida Derby, Take Charge Indy will break from post position #2 in the Monmouth Cup Stakes with legendary jockey Gary Stevens on the mount. Champion trainer Patrick Bryne, who won three Breeders’ Cup races, opted to enter Take Charge Indy in the Monmouth Cup Stakes instead of the Whitney Handicap on August 3rd. Maribeth and Chuck Sandford, who co-own Take Charge Indy with WinStar Farm, will arrive in New Jersey on Saturday for the Monmouth Cup Stakes to cheer on the four-year-old dark brown colt. 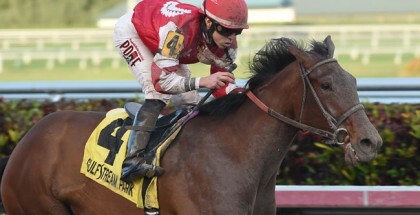 Take Charge Indy will make his way to WinStar Farm in time for the 2014 breeding season. Any race could be his last. In related news, the Sandfords’ are excited about their two-year-old Bernardini colt Chas’s Legacy, named after Chuck Sandford’s father. 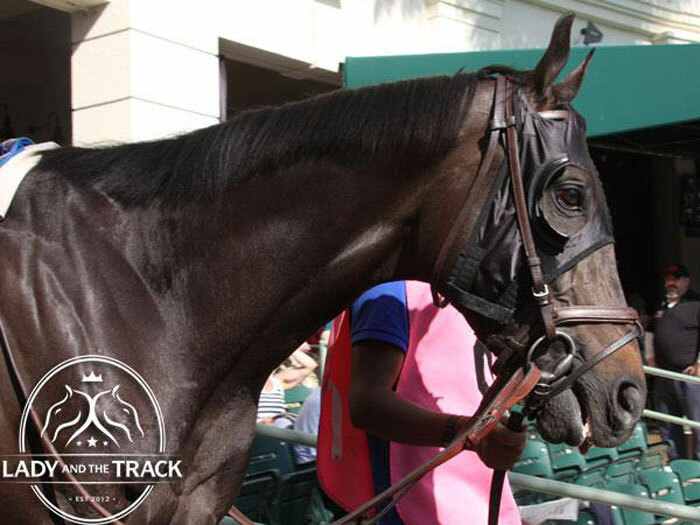 Chas’s Legacy had a workout today, July 25, 2013, breezing 4 furlongs in 48.20, which was 3rd best out of 30. The 2013 Monmouth Cup Stakes is the 9th race of the day with a 3:59 PM EDT post time. Lady and The Track would like to wish WinStar Farm, Gary Stevens, Patrick Byrne, Maribeth and Chuck Sandford, and the always outstanding Take Charge Indy the best of luck in the 2013 Monmouth Cup Handicap. Good Luck! Safe Run! 7, 5, 6, 4, 1, 3, Take Charge Indy never crossed the finish line due to injury.